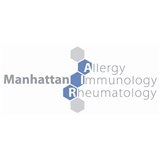 Manhattan Allergy, Immunology & Rheumatology (New York) - Book Appointment Online! My Creed: I believe in healthy and happy life. I direct my efforts to make it happen for my patients.